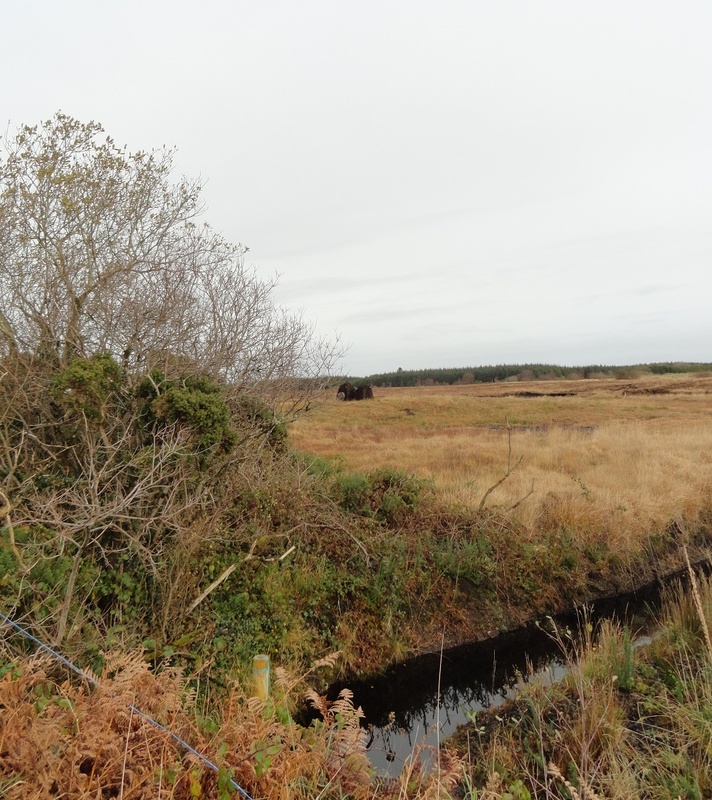 There are a number of bogs in Woodlawn, including Moyarwood and Cloonahinch. Some are actively cut for turf, while others remain uncut or are now abandoned with turf cutting ceased. 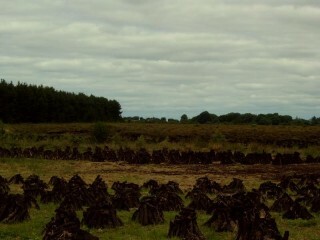 The bogs in Woodlawn are Raised Bogs and developed over thousands of years. Peat and ‘turf’ is formed from dead plant material which do not decompose due to water logging. If you closely look at a sod of turf you may figure out which plants formed it. Common peat-forming plants are Heathers and Bog Moss. Three types of heather are found in the bogs of Woodlawn; Bell Heather, Cross Leaved Heath and Ling. There are also many different types of bog mosses. Bog moss is scientifically called sphagnum moss. Sphagnum acts like a sponge and can hold a vast amount of water. It is this water soaking property which makes the bog feel bouncy underfoot. Common trees found in the bog include Downy Birch and Mountain Ash. 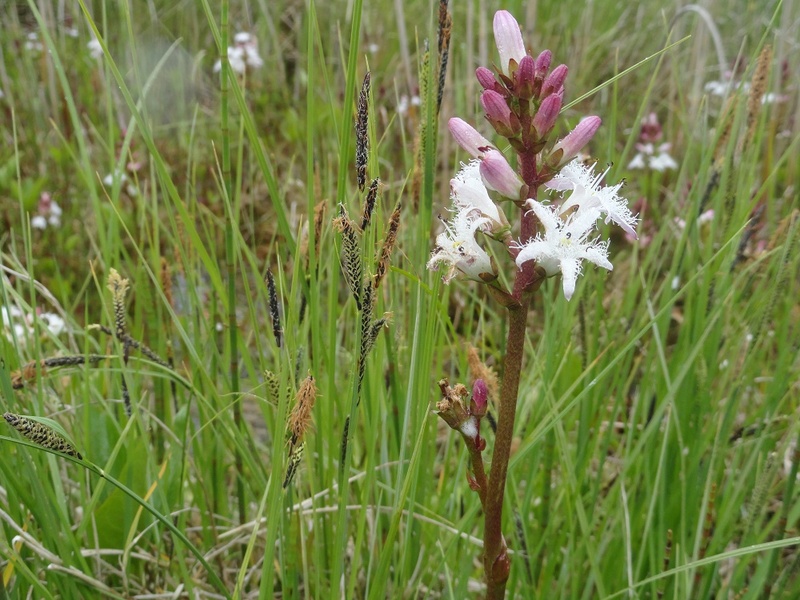 Other important plants include the yellow flowered Bog Asphodel, the light pinks of Bog Rosemary, Cuckoo Flower and Bogbean. Important shrubs include Furze Bushes and the fragrant Bog Myrtle which traditionally has been rumoured to deter midges! 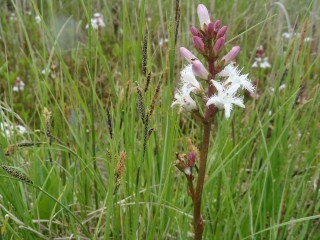 Bogs are very interesting places and while at first glance they may seem empty; there is plenty of activity in the bog. You might be lucky to see Snipe or Meadow Pipits. In the summertime, look skywards and you might be lucky enough to hear a Skylark in full song. Sand Martins may have also been known to nest in the face of turf banks in Woodlawn! Some animals to look out for are the Common Frog, Fallow Deer and Irish Hare. 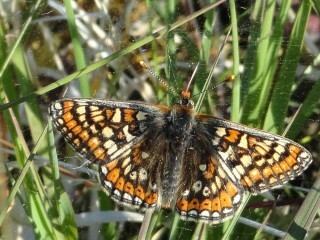 Butterflies, damselflies, dragonflies are present also in great numbers. 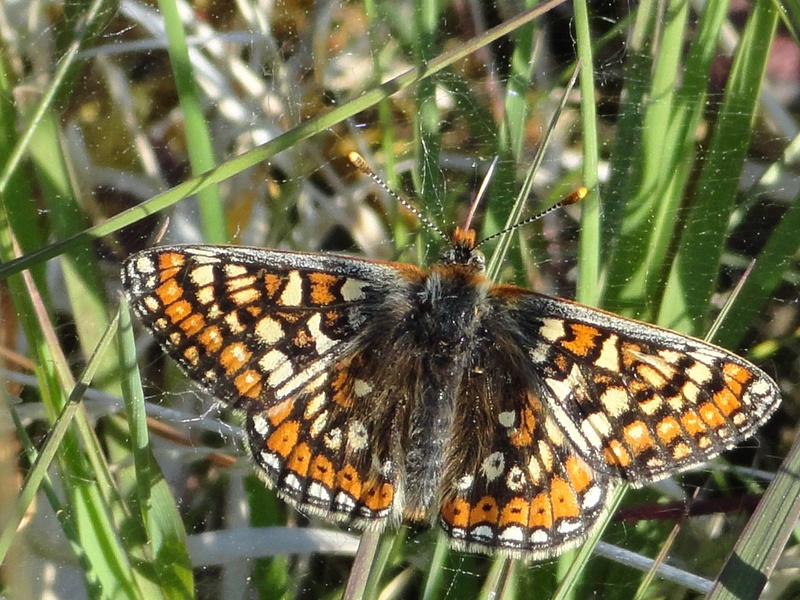 Keep an eye out for Common Blue , Green Hairstreaks and even Marsh Fritillary butterflies. Also in late spring watch for the Red Damselfly, one of the easiest to recognise damselflies in Ireland.